A Shepherd's Heart: Not My Will, But Yours Be Done! Do you ever find yourself speeding along with "your" plans and then you get down the road a ways and realize you haven't started right by consulting the Lord first? You're not alone! Then we wonder why we keep facing road block after road block?! Do we really expect God to bless what we don't include Him in? Too many people want God to bless their plans without consideration of whether or not it's His will in the first place! Let me encourage you to start first with seeking God's will and Word as you plan your plans. It will be a much better starting point if you do because guess what, God knows what He's doing and He has a purpose, will and plan for you already! Start with Him and make sure that you don't repeat the huge mistake of consulting Him as an afterthought. 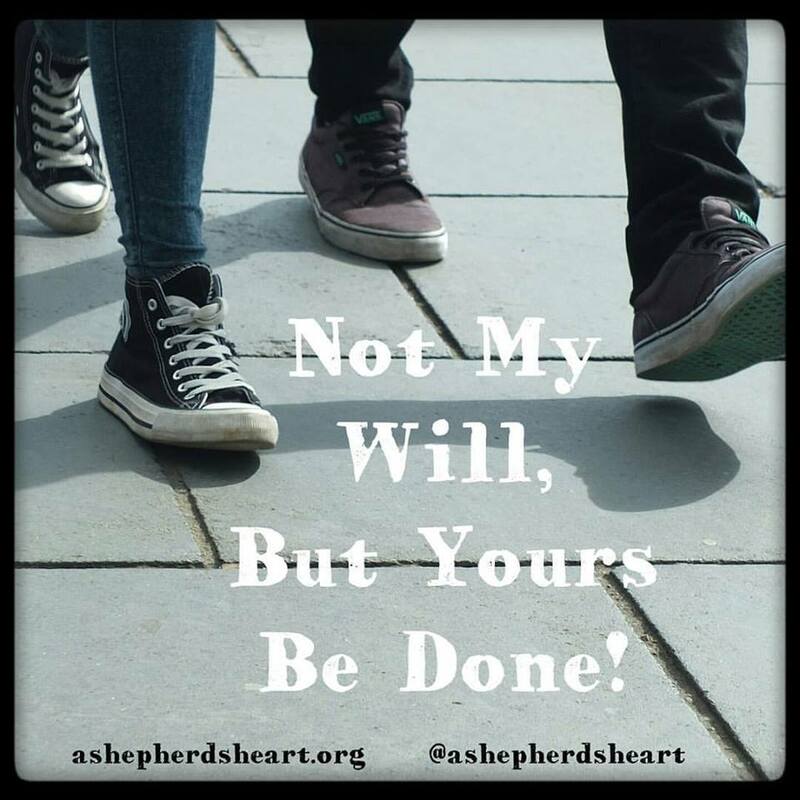 Remind yourself, "Not my will, but yours be done!" As for me, I literally have to remind myself of the very same thing often by speaking these words. Let's pray for one another that we will seek to do His will at all times and not our own!